Just over a year after the release of their well-received self-titled debut EP, PULVER emerge with the Kings Under The Sand full-length, an album loaded with eight taut, memorable, but gritty classic metal cuts. The album will be released May 10 on Gates Of Hell Records. Recorded in October of 2018 at Big Snuff Studio in Berlin, Germany, with producer Richard Behrens at the helm, Kings Under the Sand is stocked with eight compact, gritty metallic forays, successfully bridging the gap between NWOBHM and late 1970s hard rock. PULVER (who consist of vocalist Dave Fröhlich, the guitar tandem of Alex Oster and Lukas Kunkel, bassist Gabor Eichstätter and drummer Danny Oster) found the benefit of songwriting as a unit where no idea went unheard, but, a regimented and critical process was implemented to ensure the best results. Accordingly, Kings Under The Sand is without filler, relishing in classic metal gallops and the rough, imitable vocals of Fröhlich, who, across album highlights such as ‘Blacksmith’s Lament’ and ‘Warrior Caste’, sounds like he’s channeling the ghosts of MANILLA ROAD’s Mark Shelton, PAGAN ALTAR’s Terry Jones and, for good measure, MOTORHEAD’s Lemmy Kilmister. PULVER has also made a concerted effort to introduce their unofficial mascot, the “Phantom Hawk” to the metal world. 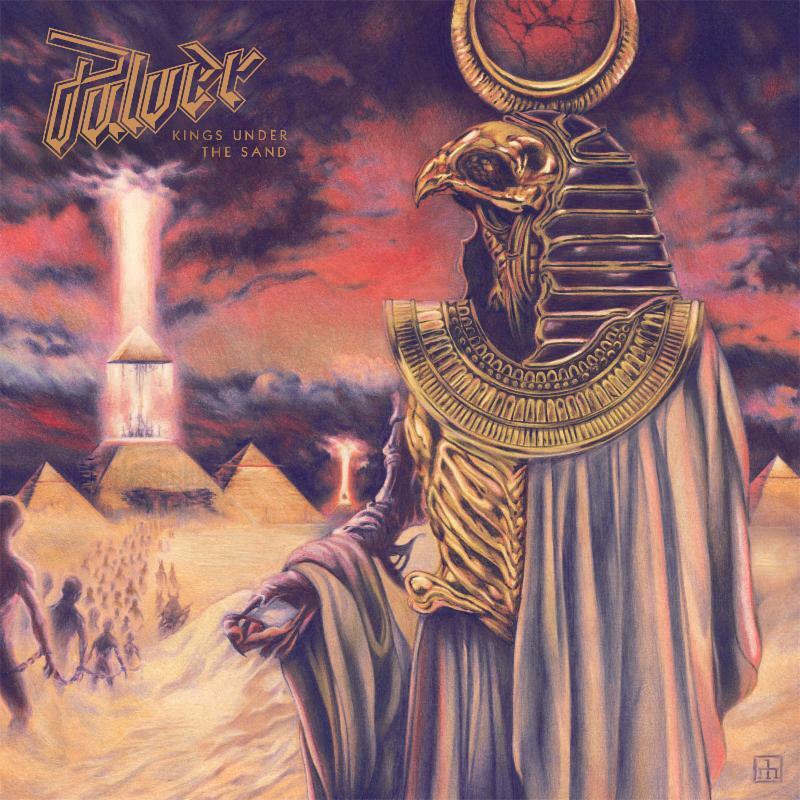 Described as an alien warrior tribe that made its first appearance on the band’s self-titled EP, this time, the Phantom Hawk (who is featured on the album’s cover art created by Max Löffler) has ancient Egypt under enslavement. In true storytelling fashion, Fröhlich and band takes the listener through a science fiction-themed journey that concludes with the epic ‘Curse Of The Pharaoh’. PULVER’s career has been a domino effect: They formed in late 2016, recorded an EP barely a year later, then, in early 2018, fell upon the ears of Gates Of Hell Records, who were all too eager to snap up the young German quintet. 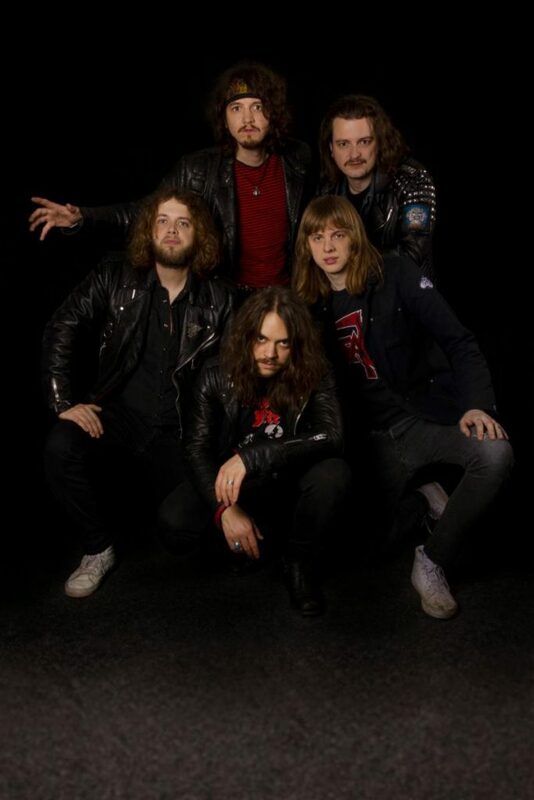 Such a rapid development had little effect on the Aschaffenburg outfit, who, by the time their self-titled EP was released in 2018, was already demonstrating songwriting flair resembling that of ACCEPT and IRON MAIDEN and even TANK, a reference made by several well-informed journalists. Just over a year after the release of their self-titled EP, PULVER has emerged with their first full-length, Kings Under The Sand.